This 2 tier cake is indulgently scandalous! 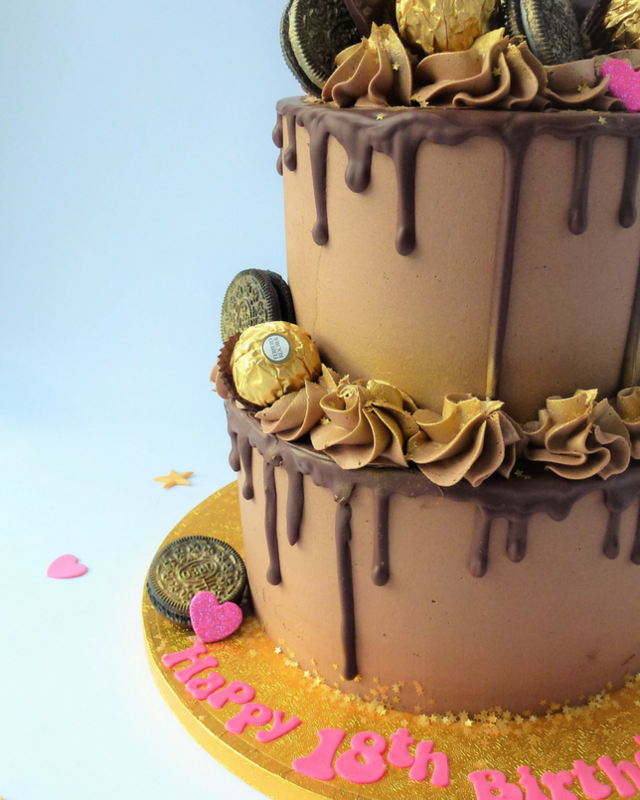 Each tier is made from a deliciously rich 6 layered chocolate cake, filled and coated in equally rich Belgian chocolate buttercream and topped off with a milk chocolate drip! 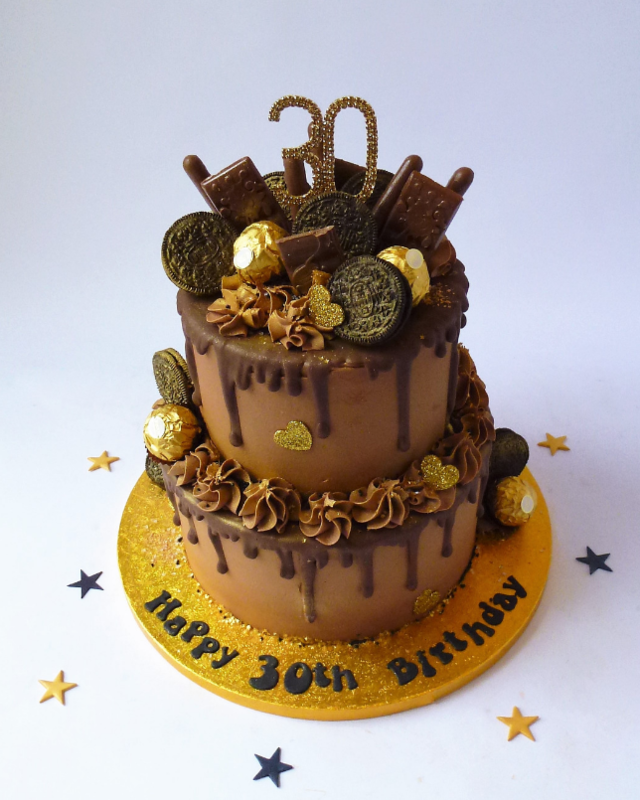 It is decorated with your favourite chocolate and biscuits which are liberally sprayed and sprinkled with edible gold shimmer and sparkle. 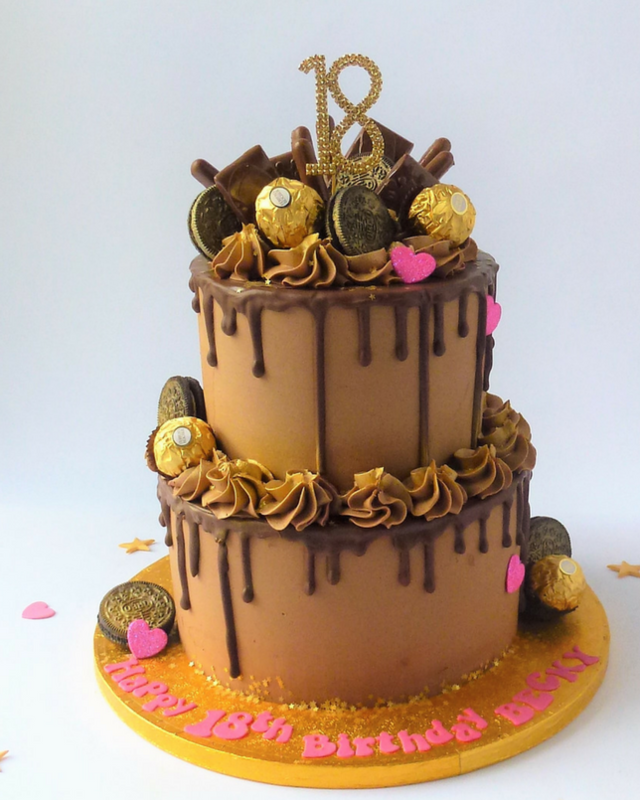 We can also add gold diamante numbers ( please note these are only available in 18, 21, 30, 40,50,60,70 & 80 ) and /or a glittered star or heart topper and of course a personal inscription. 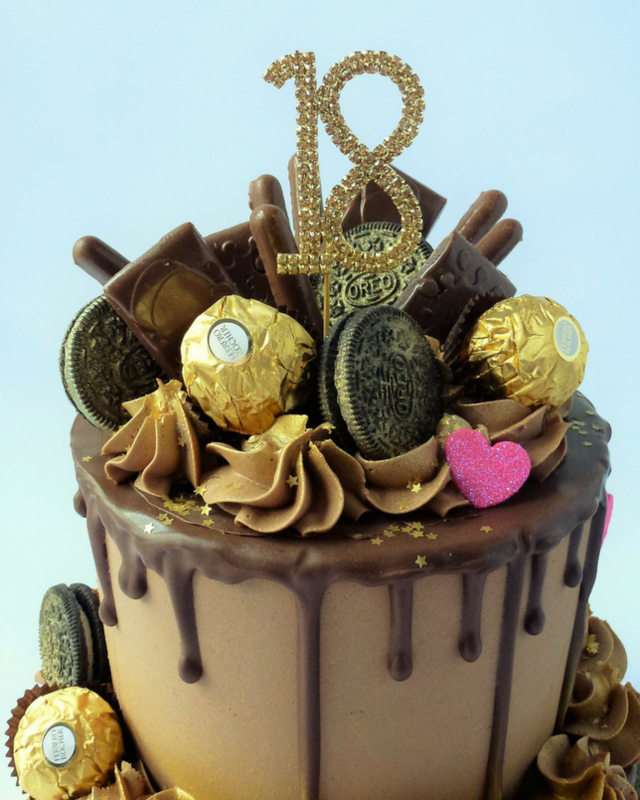 This cake can be personalised and ordered by using the drop down boxes in the ” Order your Cake ” section.